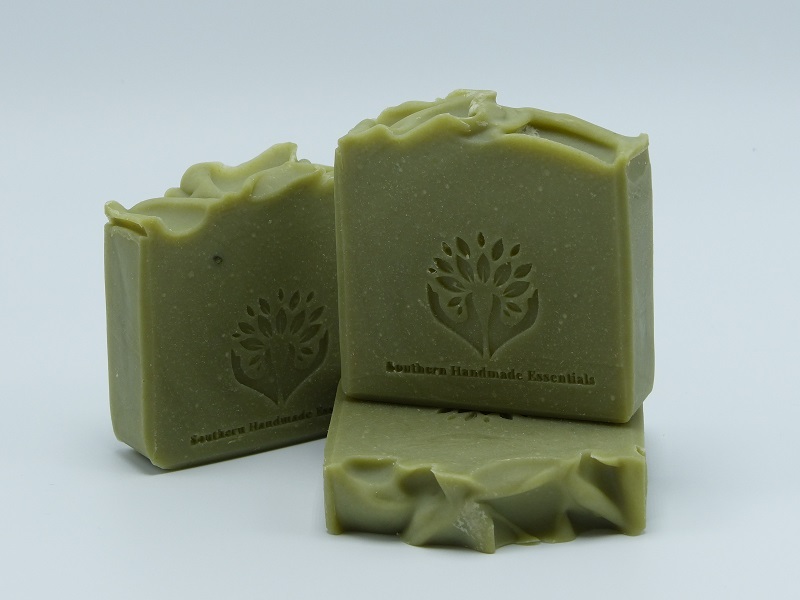 We’ve added to our natural soaps Organic Extra Virgin Olive Oil, Organic African Shea Butter and Organic Coconut Milk to create this creamy rich, mild, and moisturizing bar. Organic Extra Virgin Olive oil has been treasured for centuries for its ability to nourish the skin as it penetrates deeply to hold in moisture without clogging pores. Rich in vitamins and antioxidants, olive oil helps your skin regulate its natural moisturizing systems while allowing the skin to breathe. Organic African Shea Butter is a great emollient. High in Vitamins A and E, it penetrates deep into your skin, to moisturize, nourish, and promote elasticity. We’ve included Castor Oil to provide extra moisturizing and increase lather. Organic Coconut milk has high levels of Vitamin C which helps maintain elasticity and flexibility of skin. It is also rich in copper, and prevents wrinkles, sagging skin and age spots. Has a strong minty and herbaceous aroma.